Ciaran Woods, Ronan Scott and Niall McCoy present the podcast this week looking ahead to the Ulster SFC opener between Tyrone and Donegal. The lads also try to get their heads around Antrim’s heavy defeat to Westmeath in the Leinster SHC. The Gaelic Life fantasy football is very nearly underway. Register here. If you’d like to get involved don’t hesitate to get in contact. 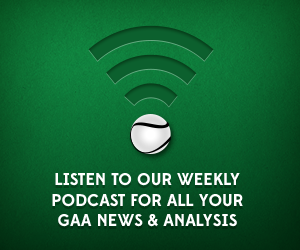 Either tweet us via @Gaelic_Life or @GAAscores. Alternatively you can send an email to either editor@gaeliclife.com orinfo@gaascores.com.